According to Amnesty International. "visit Bethlehem today and taxi drivers vie to take tourists on a 'Banksy tour'". As well as stencilling and plastering the city's walls with brilliant artwork and Israel's illegal separation wall with vast murals, Banksy and 13 top international street artists have joined Palestinian artists to sell their art in Santa's Ghetto, a former fast-food restaurant in Manger Square in Bethlehem, raising over $1 million for local charities. Some of their artwork is featured in an exhibition at Amnesty International's Human Rights Action Centre that runs from 2-11 June. 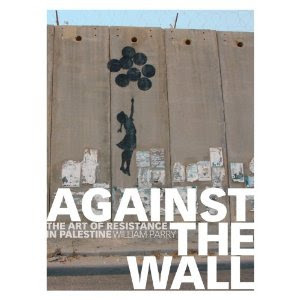 On Thursday 10 June at 7pm, the Centre also hosts the launch of William Parry's new book Against the Wall: The art of resistance in Palestine, with a panel discussion that includes the author and Peter Kennard, the photomontage artist known for the iconic images he created for the Campaign for Nuclear Disarmament in the 1980s and more recently for the Stop the War Coalition. Parry's book features prints from the exhibition and graffiti written by people from all over the world on Israel's Wall in the occupied West Bank. The exhibition is open from 9.00am - 6.00pm, Monday to Friday, and entry is free.